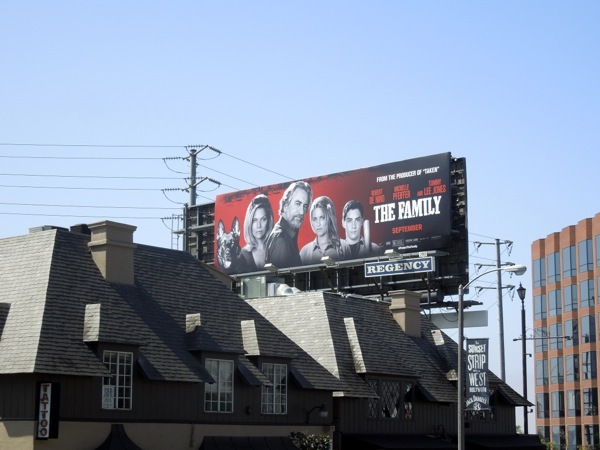 Insidious: Chapter 2 may not be the only 'horror' opening this weekend as The Family is getting some slightly dire reviews. 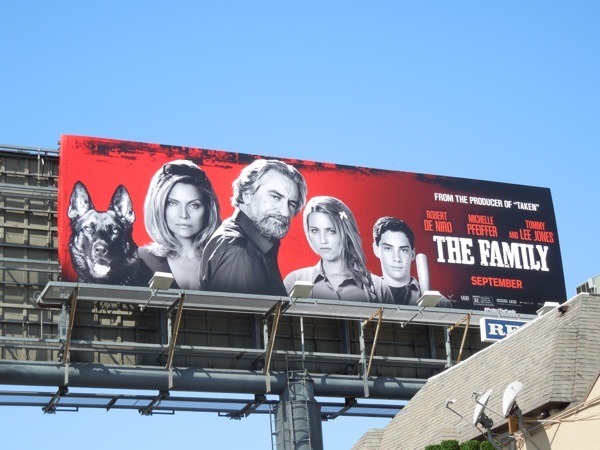 The film is in actual fact an offbeat action-comedy and stars Robert De Niro and Michelle Pfeiffer as the husband and wife of the notorious Manzoni mafia family, who has to relocate to Normandy, France with their children as part of a witness protection program. 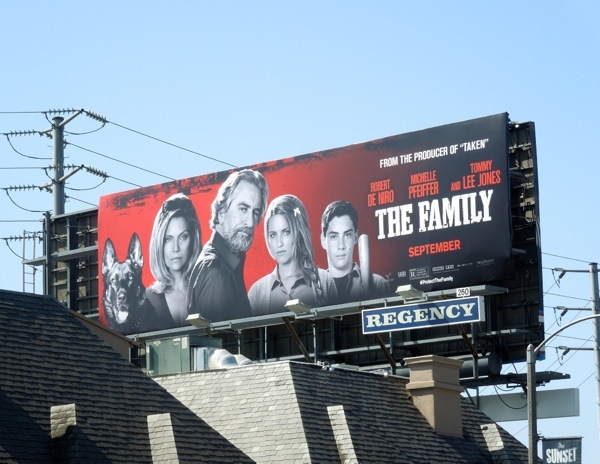 Unfortunately even with their CIA Agent handler (played by Tommy Lee Jones), the mobster, his wife and children can't seem to break old habits and resort to handling things in the 'family' way, which puts them back on the mafia's radar. Sounds like it may be one too many Italian-American stereotypes and mafia movie cliches, even though the casting of De Niro with his cinematic gangster credentials is priceless. 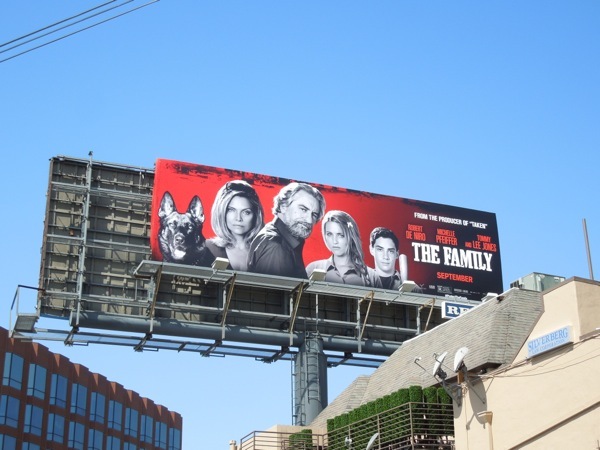 This billboard for The Family certainly makes them look like a bunch of people you wouldn't mess with (and who doesn't like a dog on a billboard) and was snapped along Sunset Boulevard on August 20, 2013. What do you think, should someone put a hit out on this movie, or is it a contender?